And thereby lies the process of Evolution. Change, they say, is the only thing Constant. All of us experience change in our life - our views take shape, thoughts mature, perceptions get molded, and if ever we sit and reflect, we wonder how it could be that we are so different from the way we were just a few years back! Similar change in the life of our planet is evidenced by the process of Evolution. The current post deals with the 'Theory of Evolution' as proposed by the Biologist Charles Darwin and compares it with similar thoughts in the Hindu tradition. As discussed in the 3rd post (Creation by Brahma), our Universe required at least ten billion years of Evolution before life was even possible! Yet, the formation of the Nuclear furnaces of our Stars was a slow but indispensable prerequisite for the generation of life. Even on our own planet, the process has only progressed by taking baby steps. After all, it took millions of years of trial and error to provide us with the backbone! Evolution is indeed visible in the huge diversity of species on our planet. Many species like the Dinosaurs have come and gone and many new are being discovered every single day by Botanists and Zoologists. Today, most of us consider Evolution to be an undisputed fact, yet there was a time when the concept was brand new and quite controversial. And the controversy began with one man - Charles Darwin. 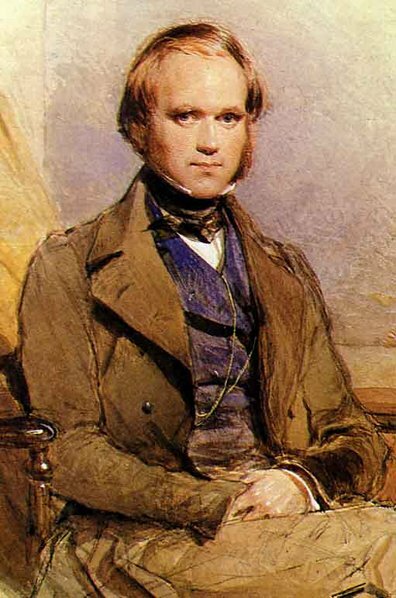 Darwin (1809-1882), was an English Naturalist, who wrote the immensely popular thesis Origin of Species in the year 1859 CE, thereby rocking the foundations of both scientific as well as religious world of that time! What was stated in his book, went totally against accepted beliefs of the Church and Darwin had to face a lot of criticism for his revolutionary theory. Yet, it is by this theory alone, that we can understand the full purport of Evolution on our planet, and have it stored in the collective consciousness of Mankind today! 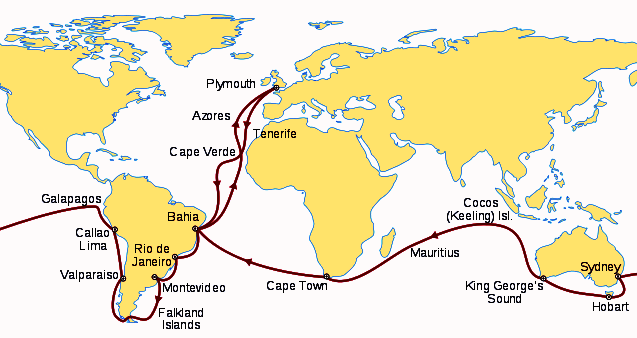 The spirit of adventure had gripped the imagination of most European nations at that time and there were expeditions organized from different countries to chart and explore the world around them. On one of these trips, our guy Charles Darwin landed at the Galapagos Islands off the coast of Ecuador. These are a group of 12 disjointed atolls with the sea separating all of them, so that the flora and fauna in each is isolated from outside intervention. Darwin began to ask himself why some birds on these islands had beaks different from others, and why some turtles had upright necks while others had their necks pointed down! 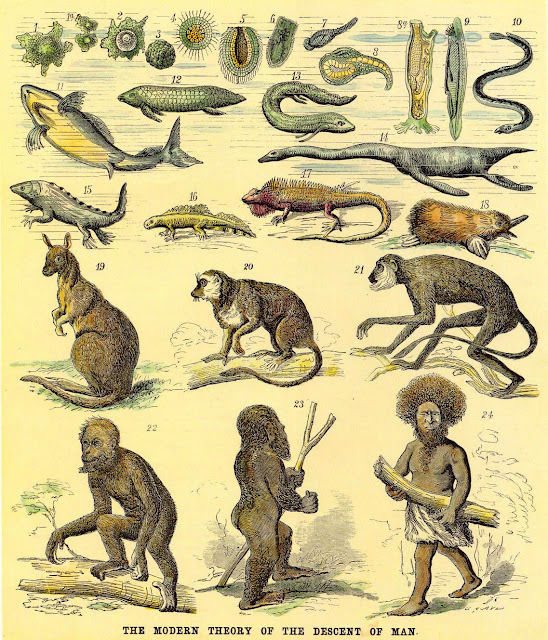 Could all these differences be a result of the ENVIRONMENT these animals lived in and the circumstances in which they had to obtain food? Despite suffering badly from sea-sickness, Darwin wrote copious notes while on board the ship. He found that the mockingbirds from different islands of the Galpagos group differed in shape and color and collected 12 different species of finches from each of them! He traveled throughout the world and collected specimens wherever the ship docked. The same were handed over to experts when he landed in his mother country for further analysis.. 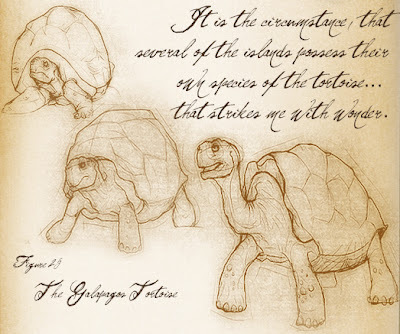 The research conducted on these specimens by various Anatomists, Ornithologists, Zoologists and Geologists, made the entire scientific world sit up and take notice of this radically NEW notion that Darwin had proposed. Inspired by the geographical differences in the wildlife (past and present), Darwin finally conceived of the Theory of Natural Selection. Today, the 'Origin of Species' is a widely acknowledged classic, and Evolution is universally and casually accepted as a truth of life..
Today, based on all the evidence available, scientists describe four zoological eras namely -Arshean, Paleozoic, Mesozoic and the Cenozoic which have led to the current plant and animal life on this planet. First appear the intangible substances followed by the tangible matter; followed by the immovable planets and landmasses; then the vegetation; birds, aquatics and animals; and finally the Higher species. Taking an example from Hindu Philosophy, one of the most important concepts in Hinduism is of Sansaar/Samsara. All religions of Indian origin viz. Jainism, Budhism, Sikhismand the numerous other sects, believe in this concept and I'm sure most of you are aware of it as well. The concept is also known as the Transmigration of Soul, and refers to an endless cycle of re-incarnation that a soul must undergo in order to fulfill its Karma. A soul takes birth in different species of life until it attains the form of a Human-being that enables it to strive for Nirvana. Compare this concept with the diagram above and you will immediately observe the similarity with Evolution!! Another point to notice is the mention of 84 Lakh (8.4 million) different forms that a soul is obliged to take in order to reach a Human form which is remarkably close to the 8.7 million Eukaryotic species that scientists believe exist today!! Sir John Woodroffe (1865-1936), Advocate General of Bengal and Legal member of the erstwhile Govt. of India, had the same revelation after the study of Sanskrit texts. "Ages before Lamarck and Darwin, it was held in India that man has passsed through 84 lakhs births as plants, animals, inferior species and then came the ancestors of developed man existing today. The theory was an act of brilliant deduction in which observation may also have had played part!" Is it just co-incidence or were the ancient Rishis actually aware of all the complexities of their environment around them?? While the above theory by itself may not be sufficient for some to believe in what I'm saying, I'll elucidate it further through an analysis of the order of Ten Incarnations of Lord Vishnu. Krishna in Northern traditions and Balrama in Southern ones. Kalki, expected to appear at the end of the Kali Yuga. It would be worthwhile to note that originally, there were 24 Avatars of the Lord listed inSrimad Bhagvatam. Why then, were only 10 selected by the Rishis for glorification? To a student of Biology, it may be quite apparent that these incarnations bear a STARTLING resemblance to the Concept of Evolution! If you remember your basic science well, you may be able to spot the similarity yourself if you just sit and reflect on it a little. 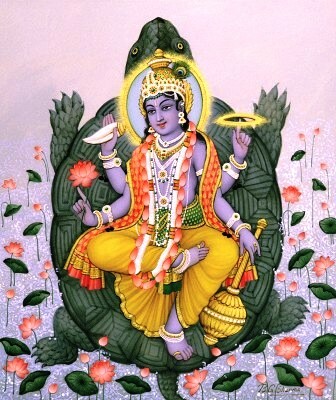 In the Dashavatar, we start with the aquatic Matsya, the Savior of the World; move on to the amphibian Kurma, the Support of the World; and follow it up with the Protector of the World, the terrestrial Varah. Now, the Eusthenopteron in the diagram above is a good example for demonstrating evolution. This particular animal looked and behaved like modern fish for all practical purpose, YET within its fins were precursors of arm and leg bones of the four-limbed land animals! To add weight to this Out-of-Water theory, we next have the Tiktaalik, a half-fish, half-amphibian animal discovered in the Canadian Arctic in 2004. This animal was a further step towards TERRESTRIAL life with early wrists and finger bones that allowed it to prop itself up and poke its head above the water! There are also indications that the animal breathed both through gills (like the earlier Eusthenopteron), as well as by means of a lung-like structure like the later amphibian Ichthyostega! This is just one of the many example that confirm Paleontologists' theories about land-dwelling animals evolving from fish ancestors and co-relates well with theDashavatar sequence of Kurma after Matsya. 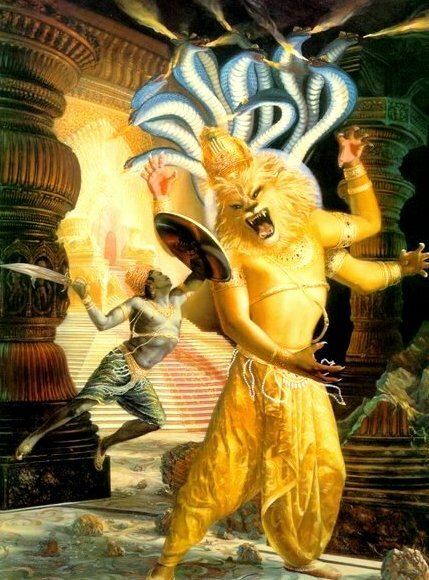 After Kurma, we have the completely TERRESTRIAL Varah followed by the half-man-half-lion Nar-singh signifying the development of Man from the beasts. Indeed there are numerous specimens recording this development and many so called Missing Links have been found to corroborate the same. On this planet, a new animal was spreading slowly out from the African heartland. It was still so rare that it might have easily been overlooked among the teeming billions of creatures in land and sea. There was no evidence, as yet, that it would prosper or even survive on this world where so many mightier beasts had passed away. However, it DID survive and DID prosper enough to become the most populous and dominant species on this planet.. This was the Human-being.. The Evolution of Humans from an ape ancestor is supported by DNA and fossil evidence of over 20 species of Hominids! The complete genomes of several primates have been sequenced and they provide ultimate proof of our relatedness to apes and other Primates. Dryopithecus in the image above, was a common ancestor to humans as well as other apes, and walked on all fours. The next guy in the image, Australopithecus afarensis, retained remnants from his quadrupedal past (such as hind toes suited for climbing and a wrist joint indicating it could knuckle-walk). However, its thigh bone, the femur, was shaped like that of the later Homo erectus to bear the stress of upright movement! In addition, both the proto-humans' femurs were also angled inward to help maintain balance on two legs, just like we do today. Thus, in the Dashavatar sequence, we first have the pygmoid Vaman followed by the fully developed but jungle-dwelling man represented by Lord Parashuram. 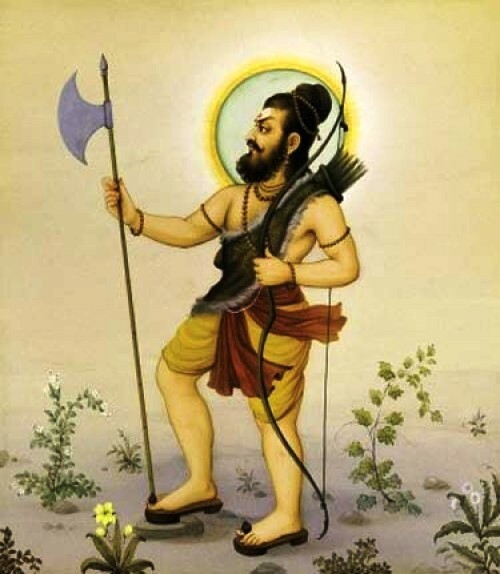 This stage represents Early Man who had started using tools and weapons and quite fittingly, Prshuram is the FIRST of the ten incarnations to posess primitve ARMS (Axe and Bow). As the famous sci-fi author Arthur C. Clarke describes - The stone club, the toothed saw, thehorn dagger, the bone scraper - these were the inventions which the Early Man needed in order to survive and hunt. No longer were they faced with starvation when their teeth became damaged or worn; even the crudest tools could add many years to their lives. And as their fangs diminished, the shape of their face started to alter; the snout receded, the massive jaw became more delicate, the mouth able to make more subtle sounds to enable Speech. In using the Tools, their hands developed a dexterity found nowhere else in the animal kingdom permitting them to make still BETTER tools, which in turn helped develop their limbs and brains yet further. It was an accelerating, cumulative process; and at its end was the Modern Man. Soon, mankind discovered Fire and Agriculture, and civilization began. Hence, next in the list we have the civilized man with a strong moral code - Shri Rama followed by Balrama, the Man-who-can-tame-Nature. In the image below, we can see the modern human represented by Shri Rama accompanied by the proto-human Vanars. Next in line, Buddha, represents man with a spiritual drive and the need for infusing fresh thoughts in age-old traditions to keep religion and spirituality within the reach of the Masses. 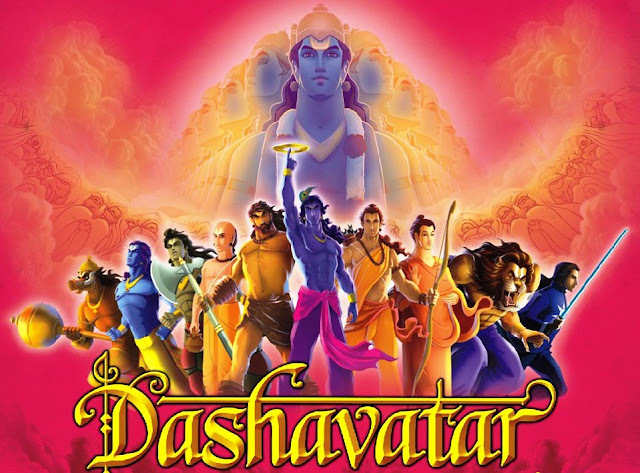 The 10 Avatars certainly represent much more than just the incarnations of Lord Vishnu and as we saw above, are an allegory for the Process of Evolution which is evident in nature and within our own beings as well. 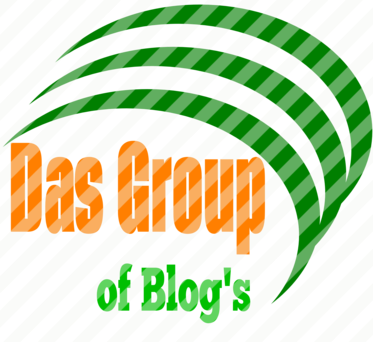 Glories to Hari, Lord of the Universe! Glories O Hari, Lord of the Universe! All Glories to Hari, Lord of the Universe! Dedicated to our hard working Team.